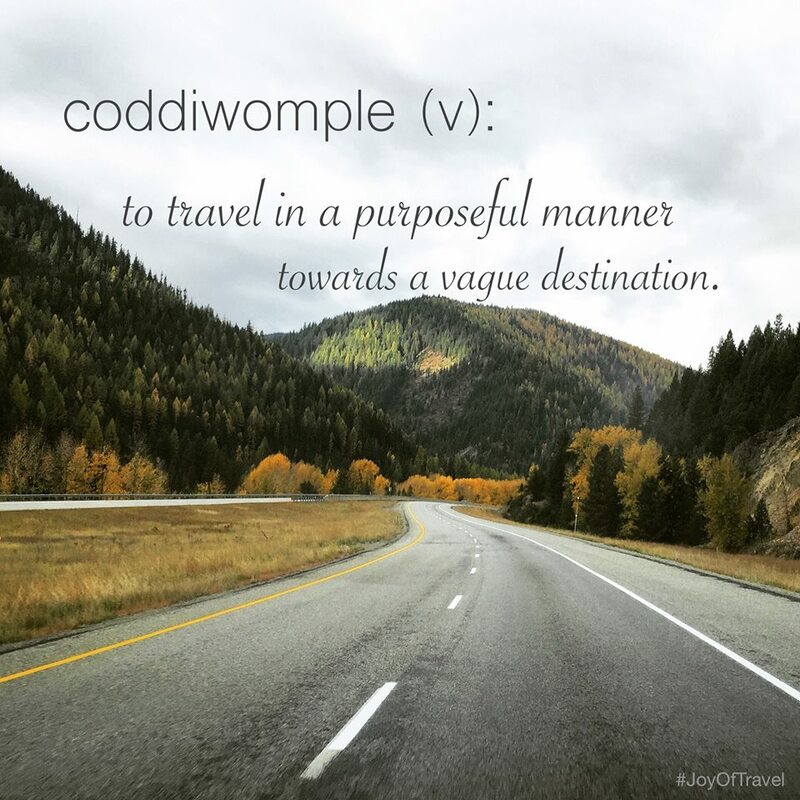 There is this word CODDIWOMPLE. It’s a verb and it means to travel in a purposeful manner towards a vague destination. I love this word. It was a favorite of our long-time fan, Petter Moe, a Norwegian immigrant and ‘best dad’ to Talen Nikolai Moe, one of our On The Road storytellers. I love this word because it captures so perfectly the process that we work with when creating stories. It involves trusting the story even when the destination seems vague and unclear and distant. When I’m working a story, it’s working on me. It’s a discovery process where I wrestle with the truth of it and, in the end, arrive at a destination that I choose, a place where I decide to end the story. All of us carry narratives that define who we are and what we believe about ourselves and the world around us. By making the effort to figure out what matters, allowing that to emerge, I believe that anyone can tell an amazing story that connects them to others and to themselves. Storytelling is a phenomenon that is rising into the consciousness of the world. 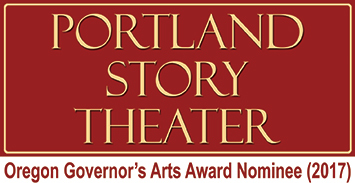 Portland Story Theater is lucky to have won some grants from the Autzen, Kinsman, and Miller foundations so we can take this art form of storytelling out into places that don’t normally get this kind of experience. It takes quite a lot to organize these road shows. We met with our friends over at Miracle Theatre (Portland’s local Latino theater) to gain some insights into their process. And the good people at Quality Folk, a ukulele duo, shared their promo materials and database of library contacts. Emails. Phone calls. Snail mail. More emails and phone calls. Some are interested and some are not. When I called Denise at the library in Port Orford, she was thrilled! Turns out that she is launching a program to help people tell their personal stories. The timing could not have been more perfect. And Rusty over at Gold Beach wanted to get in on the action too, so five of us are travelling down to Gold Beach and Port Orford at the end of this month to do a couple of Urban Tellers® shows and a couple of Storyteller Starter workshops. We even have a fan from Portland who is travelling down on her own to see the show in Port Orford on Saturday, August 27, 2016. We have worked with a lot of great people through our workshops and we’ve invited some of them to join us. We are delighted to have this opportunity to go on a road trip with some very fine storytellers: Beth Rogers, Niko Moe, Warren McPherson. Like any travel experience, this will surely prove to be some of the most fun and most challenging of times. Travel is like that … kind of coddiwomply … but no doubt we’ll have some good stories to tell about it. Later in September, Mark from the Dallas Library has invited us to come back this year to open their 2nd annual Storytelling Festival. The grants are giving us the opportunity to do a workshop there too. Negotiations are in the works with Kevin at the Florence Library to be a part of their local Arts Festival in October. We’re travelling in a purposeful manner but, ultimately, the destination is vague. We’ll just have to trust the story. Congratulations and best wishes on this new and exciting endeavor! All good news!!! So happy for Portland Story Theatre and the new lives and hearts to be to touched and ignited. Here’s to more fiercely wonderful narratives. The world needs them. Hi Maura! Yes, good things are coming our way… so happy you are going to be a part of the first show!